LONDON -- For athletes and spectators at Sochi, it's time to pack up. But for the host cities, the real challenge begins with the end of the Olympics. How do they continue to use the expensive stadiums after the party's over? What happens to the athletes' villages? What is the legacy of the games? 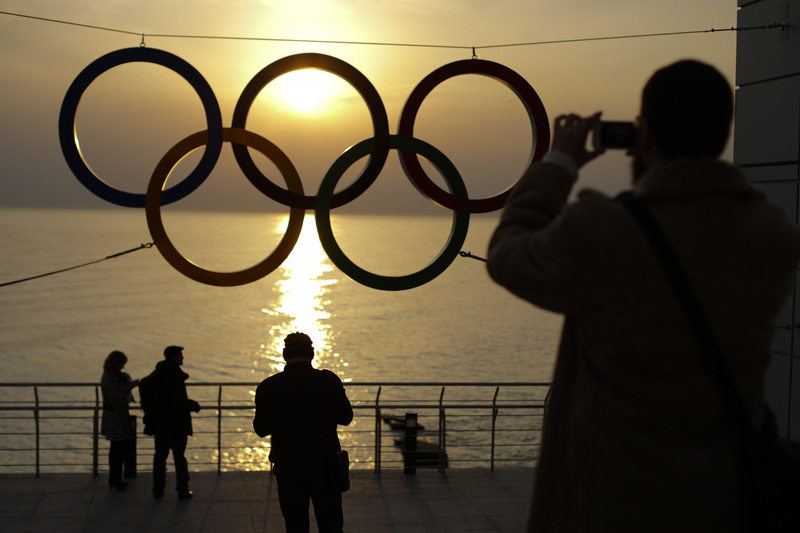 At a reported $51 billion, the Sochi Olympics could be the most expensive games in history. The nation's investment - topping even Beijing's estimated $40 billion layout for the 2008 Summer Games - transformed a decaying resort town on the Black Sea into a household name. But what will happen to the all-new facilities? Here's a look at what some past Summer and Winter Games sites around the world look like post-Olympics. London continues to bask in the success of the most recent Summer Games, but the Olympic legacy is difficult to determine. The flagship venue, renamed the Queen Elizabeth Olympic Park, is being converted into a massive park as big as London's famous Hyde Park, complete with wildlife habitats, woods and sports facilities. The first part of the ambitious project will fully open to the public in April. The 80,000-seat Olympic Stadium at the center of the park has been troubled by controversy since even before the games, and its post-games use was the subject of months of legal wrangling. The stadium is now being converted into a soccer venue and the home of the West Ham soccer club, with an expected price tag of $323 million. Many argue taxpayers should not have to fund a Premier League club, though officials insist that the stadium will continue to host other major sporting events, including the Rugby World Cup in 2015. The athletes' village is still being transformed into the East Village. At nearby East Wick and Sweetwater, based at the west edge of the park, there are already signs that the process will yield less housing than originally pledged. Other promises, like the Olympic Museum due to open this year, have simply been quietly dropped. There's no doubt that the Olympics improved public transport in the city's East End, historically a deprived, industrial area poorly served by commuter links. All games venues in Vancouver remain in use, with local authorities funding a $110 million trust to make sure that they don't fall into disrepair. The most successful venue appears to be the Richmond Olympic speed skating Oval, a widely used community sports and events facility that attracts more than 550,000 visitors a year. Dozens of sports groups run regular programs at the Oval, which now houses two international-size rinks for hockey or speed skating, basketball and squash courts, an indoor track and a rowing tank. The venue, which has hosted numerous provincial, national and international championships in a variety of summer and winter sports, is cited as a positive legacy of the games. Federal and provincial governments pay some of the Oval's operating costs, as well as for the Whistler Sliding Center, used by athletes as a training facility, and the Whistler Olympic Park. But the athletes' village has not fared so well. The City of Vancouver had to take over financing for the 1,100-unit village after the developer stopped payment on its construction loan due to cost overruns and the 2008 financial crisis. The city has sold most, if not all, of the units, but it expects to lose nearly $300 million. Beijing, which spent more than $2 billion to build 31 venues for the 2008 Summer Games, is reaping some income and tourism benefits from two flagship venues, though many sites need government subsidies to meet hefty operation and maintenance costs. The National Stadium, nicknamed the Bird's Nest because of its lattice design, has become a key Beijing landmark and a favored backdrop for visitors' snapshots. But few tourists are willing to pay more than $8 to tour the facility as enthusiasm for the 2008 Games fades, and the venue has struggled to fill its space with events. The Water Cube - where U.S. swimmer Michael Phelps made history by winning eight gold medals - has been transformed into a water park popular among local families. Its operators even peddle purified glacier water under the Water Cube brand for additional income. But other venues have withered in neglect. A rowing park in the city's suburbs that cost $55 million has fallen into disuse, and visitors to this paid facility are few and far between. The cycling race tracks in another outlying district are covered in weeds, and the sand volleyball courts have been largely closed off to the public. The legacy of Athens' Olympics has stirred vigorous debate, and Greek authorities have been widely criticized for not having a post-Games plan for the infrastructure. While some of the venues built specifically for the games have been converted for other uses, many are underused or abandoned, and very few provide the state with any revenue. Some critics even say that the multibillion-dollar cost of the games played a modest role in the nation's economic meltdown, which started in late 2009. The main Olympic stadium - built decades before the 2004 games but revamped for the 2004 Olympics - is still used for major soccer matches, and most of the surrounding facilities and stadiums are also used for sporting events and concerts. One of the most successful conversions of Olympic facilities is the old badminton venue, now a theater. The athletes' village was turned into housing for workers, but the communal areas were neglected, with frogs and debris taking over the old training pool in the village. Before the 2000 summer Olympics, the site west of Sydney where the 1,580-acre Sydney Olympic Park was built was a grungy, desolate wasteland of slaughterhouses, garbage dumps and factories. Since the games, it has slowly developed into its own suburb with hotels, offices, restaurants and parklands. The park now hosts thousands of events each year, from music festivals to sports to business conferences, drawing more than 12 million annual visitors. It's also the home of the wildly popular Sydney Royal Easter Show, an agricultural fair that attracts more than 800,000 people each year. In Nagano, five large structures were built for the 1998 Winter Games. They remain in use, though many complain that the venues are too big and costly to maintain for a town of less than 400,000 people. The Olympic Stadium has been converted into a baseball stadium. Nagano doesn't have a professional team, though other teams play there on occasion. The Aqua Wing Arena has been converted into an aquatics center, and the Big Hat is still used for ice hockey, as well as figure skating. The M-Wave hosted the World Sprint speed-skating championships last month, and the White Ring is used for professional basketball, volleyball and other events. Nagano wasn't free from controversy, though. The bidding process for the games was clouded by bribery allegations. In Atlanta, the main stadium for the 1996 summer Olympics is headed for demolition. After the 1996 games, the stadium was converted into Turner Field, the baseball stadium that's been home to the Atlanta Braves for the past several years. But in November, the team announced plans to build a new stadium in the city's northwest suburbs and leave Turner Field in 2017. Atlanta Mayor Kasim Reed said that Turner Field would be demolished after their departure. Less than two miles north of the stadium, in the city's downtown area, Centennial Olympic Park was used for some of the ceremonies during the Atlanta games. The park remains a popular destination for residents and tourists, particularly in the warmer months. Every summer, children still splash in a large fountain that incorporates the Olympic rings in its design. Other venues from the 1996 games have seen creative uses - including one of the first "running of the bulls" events in the U.S., inspired by the famed festival tradition in Pamplona, Spain. The 1992 Olympic Games launched Barcelona as a major tourist attraction, converting it into what it is today - a must-see destination in Spain attracting millions of visitors a year. The city benefited greatly from the smash-hit song "Barcelona," Freddy Mercury's collaboration with Barcelona-born soprano Montserrat Caballe. The games left Barcelona an important architectural legacy, much of which is still in use, including Palau Sant Jordi, which today is a large-scale music venue, and the Olympic Stadium, which was used for years by soccer team Espanyol and still hosts sports competitions. The 1992 Games cost some 6.7 million euros and generated a profit of about 12 million euros, and completely changed Barcelona's appearance by opening new vistas to the seafront and creating ring roads that have greatly benefited the city. The Olympic Village, which hosted athletes from around the world, today is home to city dwellers who still recall what they refer to as "that magical 1992." Wartime destruction and negligence have turned most of Sarajevo's 1984 Winter Olympic venues into painful reminders of the city's golden times. The world came together in the former Yugoslavia in 1984 after the West had boycotted the 1980 Olympics in Moscow and Russia boycotted the 1984 Summer Games in Los Angeles. Just eight years later, the bobsleigh and luge track on Mount Trbevic was turned into an artillery position from which Bosnian Serbs pounded the city for almost four years. Today, the abandoned concrete construction looks like a skeleton littered with graffiti. The elderly avoid it to keep it in their memories as it was - gloriously illuminated and visible from downtown. Other Olympic mountains around Sarajevo had turned into battlegrounds during the 1992-95 Bosnian war that took 100,000 lives. Afterward, most of them were left dotted with land mines. The two ski jumping hills on Mount Igman were never used again and became a surreal backdrop during the war when United Nations armored vehicles rolled pass them. The hall where British ice dancing duo Jayne Torvill and Christopher Dean gave a legendary Bolero performance that won the first, and so far only, perfect 6s in Olympic history, now lies next to a sea of white tombstones.